Local fans go wild for K-Pop stars at KCON 2016 NY, the world’s largest K-Culture festival sponsored by CJ E&M. KCON 2016 NY M COUNTDOWN Concert will be held on June 24 and 25 at the Prudential Center, New York, featuring top K-Pop artists such as Dynamic Duo, Mamamoo, BTS, BtoB, Seventeen, Eric Nam, Ailee, Crush, and Day6. Dynamic Duo, BtoB, Seventeen, Ailee and Crush will perform on June 24, and Mamamoo, BTS, Eric Nam and Day6 will perform on June 25. This year's stars are hotly anticipated as many of them have garnered global success. Among them, BTS have had a stellar year, their lead single “Fire”, from the album The Most Beautiful Moment in Life: Young Forever, swept into no.1 on the domestic scene and even claimed a spot on the US Billboard 200. BtoB released their eighth mini-album Remember That, which captivated female fans’ hearts with their sweet and gentle voices. They reached number one in Korean music charts and have secured a reputation for delivering emotional music. Seventeen are a recently-debuted boy group that have been turning heads worldwide. Their breakthrough song, “Pretty U”, features on their first full-length studio album Love & Letter, which sold 80,000 copies in the first week after its release last April. The album reached no.3 on Billboard’s World Albums Chart. Given that the KCON 2016 NY M COUNTDOWN Concert is their first live performance in New York, they are expected to get an huge reception from fans. Also on the bill are some of Korea's finest female artists. Mamamoo is a four-member girl group that has hit the big time in Korea and overseas with their hit song “You’re the Best”. Their pure singing ability makes them the most sought after group in Korea for collaborative work. Ailee has been dubbed the “Korean Beyoncé” for her booming voice and powerful dancing. 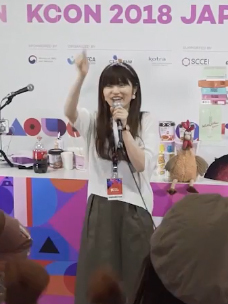 Being a New York native, she is likely to communicate well with local fans. On a different note, hip hop artists are also ready to rock the NY stage. One of the most respected Korean hip hop groups Dynamic Duo hit no.1 in Korean charts with “Jam” from their eighth full-length album Grand Carnival, which won fans’ hearts on its release last year. Crush, whose sophisticated groove songs have won many fans, showed his chart-topping power with songs from the EP Interlude. Many fans are excited to see him perform in New York. Leading male singers are also wowing fans. Eric Nam is one of the hottest singers right now thanks to his sweet voice and gentle manner. He released his second mini-album Interview last march and is working as both a singer and television host. DAY6 is a next generation rock band poised to lead the Korean Wave. 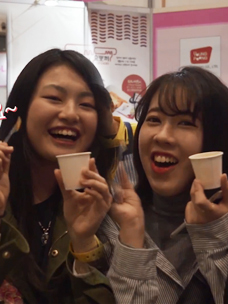 Their rise has been remarkable, hosting showcases in Taiwan and Thailand within just three months of their debut. This is the band’s second KCON, following KCON 2016 Japan in March. 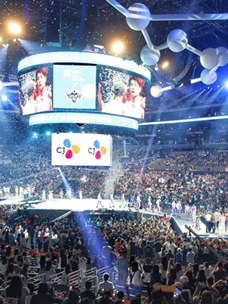 KCON USA captivates the U.S.
KCON USA is back for its fifth year and it’s bigger than ever – with its largest site and the highest number of concerts ever held in New York and LA. With the concept of “LET’S KCON”, KCON is seeking to engage fans and develop new forms of culture. KCON USA will provide more opportunities than ever to experience Korean culture through a variety of programs. By providing opportunities for both the most fervent and as-yet-uninitiated K-Pop fans to enjoy K-Music, KCON USA plans to secure its place as the representative Korean Wave festival that connects American youngsters with K-Culture. This year’s KCON NY will offer more diverse content by expanding its format over two days of conventions and concerts. The tickets for M COUNTDOWN Concerts have been available since May 13 on the website (www.ticketmaster.com), and have had an enthusiastic response from fans. Sponsored by CJ E&M, KCON USA has been the country’s largest exponent of Korean culture, including K-Pop, K-Drama, K-Beauty, K-Food, since 2012. The convention has continued to grow as a comprehensive platform that provides opportunities to experience Korea, with Korean products and cultural programs positively affecting the Korean economy. While KCON has expanded its size since 2015, more than 8,000 people in March came to attend KCON 2016 Abu Dhabi, a hub for the wider Middle East region. 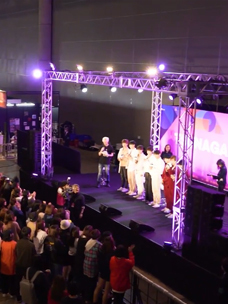 On April 9th and 10th, KCON 2016 Japan was held in Tokyo, the source region of Korean wave, attracting approximately 33,000 fans and supporting the rising popularity of the Korean wave. Following that, KCON 2016 France will take place this coming June 2 at the Paris Accor Hotels Arena. KCON NY will return to The Prudential Center on June 24-25. KCON LA will kick off at July 29-31 at the Staples Center.